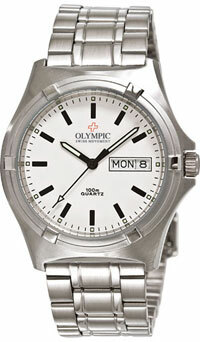 The Famous Olympic WORK WATCH Special Edition. Ideal for Farmers, Tradesmen and everyday hard work. Built to take the hard knocks. Stainless steel case & band with double locking clasp. Extra Thick and Specially Toughened Mineral Glass. White Dial with Hour Markers.